No judgment. No lectures.You've never been to a dentist like this. Though we sadly are not scheduling new adult patients at this time, we have a waitlist system for any last-minute new patient appointments that become available. Please click here to be added to the waitlist. Thanks! 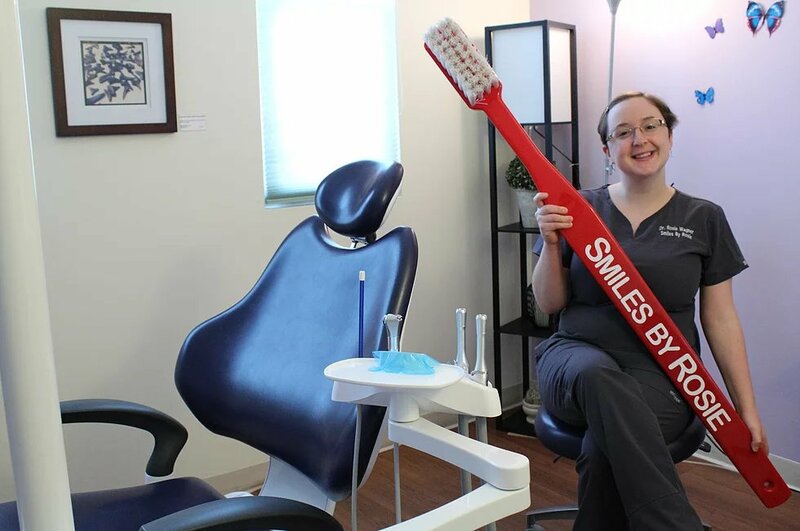 Smiles By Rosie Family Dentistry is a comprehensive dental practice for adults and children. Has it been a while since your last dental visit? That's our specialty! Our practice is particularly designed for people with dental anxiety and who fear being judged about their teeth. We take time to explain what is happening, educate you on your oral status at your own comfort level, and offer a safe space to go for long-term dental care. We happily welcome patients with special needs and those with mobility and/or sensory impairment. We look forward to meeting you soon! © 2018 Smiles By Rosie, Inc.